Here it is fellow cavers! 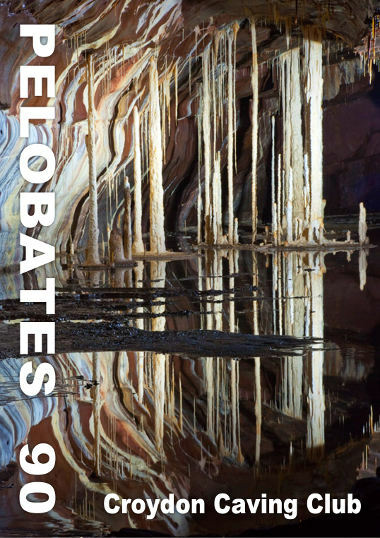 In this the year when Croydon Caving Club is fifty years young, at last an issue of Pelobates. It is rumoured that Paul Selby is also producing a special 50th Anniversary edition. Maybe the final swan song of our previous editor who has done a great job over the years. I am pleased to start my editorship with Peter Hamilton, he with the necessary skills to develop the Croydon website and me with certain other skills- I know not what! If you have not had a good look at the new website go to http://www.croydoncavingclub.org.uk/ - I'm sure you will be pleasantly surprised. It is also hoped that with the production of the magazine, the persons who are want to say that the club is about to fold will be finally silenced. All articles for the magazine gratefully accepted, I have a few ideas for future articles but you don't want the magazine written just by one person, so get writing. To our main caving area South Wales, it is hoped that with the recent change of committee on the Cambrian Caving Council, they will continue to work to preserve access. However, I feel that there is a very real chance if we are not careful, that we will start to lose more caves rather than actually find them. Specifically, Ogof Capel and Ogof Carno may be lost due to developments on the Heads of the Valleys road. In Ystradfellte, the Cambrian Caving Council might also apply themselves to gaining access to certain caves in our area, the recent significant cave found in the Hepste valley springs to mind. Finally, with good works such as the production of a reasonably regular club magazine, improvements to the club cottage and of course attracting new members to the club which will ensure that we are celebrating our 60th Anniversary.